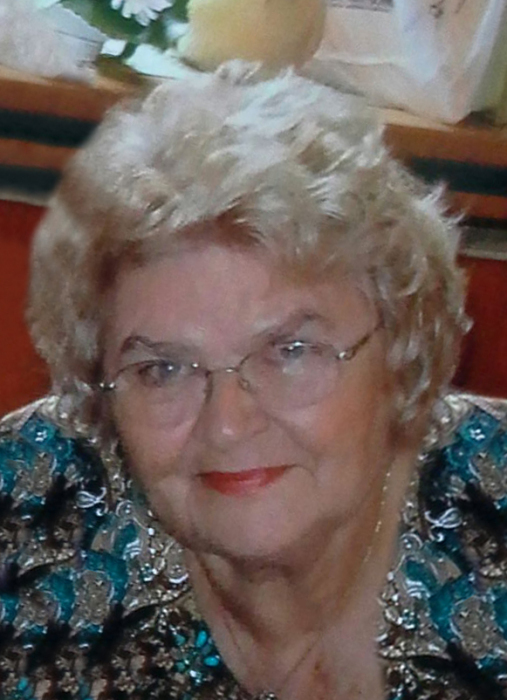 Gisela Howton, of Wyoming, passed away peacefully in her home, Thursday, November 29, 2018, surrounded by her loving family. She was 80. Gisela was born March 1, 1938, in Wisebaden, Germany to the late, Ernst & Wilhelmina(Hoffman) Volmer. In her younger years she enjoyed doing the German Walk and doing ceramics. Gisela is survived by her husband of 60 years, William R. Howton; 4 children, Larry & Kathy Howton; Karen & Chuck Severence; Mikel & Leah Howton, and Sue Howton; her sister, Karin & Manutscher Makki; 10 grandchildren, Joshua, Alison, Zachary, Amber, Bradley, Kayla, Paige, & Kyle Howton; Brittany & Michael Clark; 2 great-grandchildren, Abigail & Gabriel Howton; and several nieces & nephews. Funeral Services will be held at 1:00 pm, Monday, December 3, 2018, in the Pippin Funeral Home, Inc., 119 West Camden-Wyoming Ave., Wyoming; with visitation between 11am – 1 pm. Burial will follow in Sharon Hills Memorial Park. In lieu of flowers, contributions may be made to the St. Judes Children's Research Hospital Memorial Program, 501 St. Jude Place, Memphis, TN. 38105. Condolences may be sent via: www.pippinfuneralhome.com.